A hit at this year’s Cannes Film Festival, this unusual story of revenge is director Yorgos Lanthimos’ follow up to cult 2015 hit The Lobster. Colin Farrel stars as Steven, a heart surgeon whose children begin to suffer from an unusual illness. It comes to light that Martin, the son of a former patient that Steven lost in surgery, is behind this mystery. He gives Steven an ultimatum – kill one of your family to save the other two. Sharing the same kind of cold, absurdist tone as his previous film, the film is brilliant and infuriating in equal measure. There is a method behind the madness – the story is based on the Greek myth Iphigenia, and as a film is designed to pull apart the sanctity of the family unit and ask the unthinkable question – whom do you value most in your family? With blunt dialogue and matter-of-fact revelations, all emotion is stripped from the piece, as the camera watches dispassionately in a manner you won’t find in many other films. The trade off for this unusual approach is that it is incredibly hard to invest in, playing more like an emotionless horror than a psychological thriller. We simply watch events unfold, often with more humour than trauma. Indeed, the darkly witty streak is all that keeps the film from slipping into complete nihilism, however there is no denying the story will make an impact on all who see it. Having floundered in Hollywood blockbusters for years, Farrell seems to have found his niche in interesting, idiosyncratic independent films. Having impressed in The Beguiled earlier this year, he plays Steven with a child-like stubbornness that works well with the excellent Barry Keoghan, almost terrifying as the unruffled antagonist. Mixing a homely geniality with latent fury, he steals many of the film’s big moments. 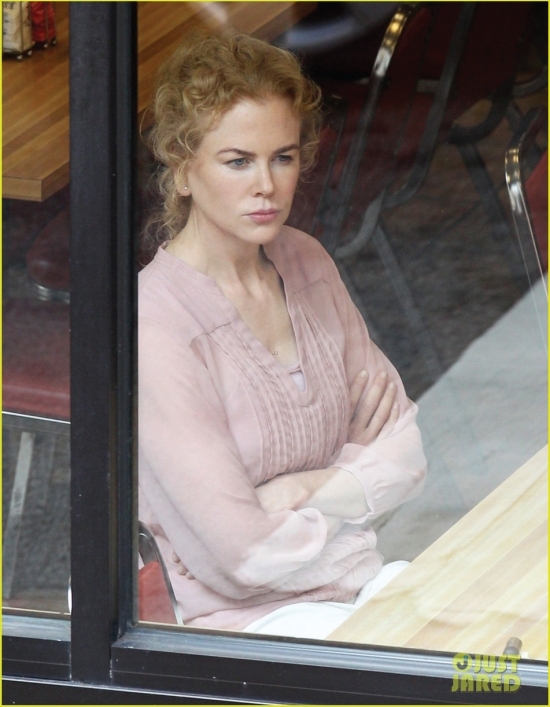 Equally adept is Nicole Kidman as Steven’s wife, as angry at her husband as she is their tormentor. However, given the star’s talents you can’t help but feel she’s slightly underused. The unsettling finale will be too much for some, although those who have seen The Lobster will know that Lanthimos doesn’t deal in cut-and-dry endings. It’s refusal to obey any kind of cinematic rules makes it a frustrating experience, but even those repulsed by what unfolds will agree this is the work of a film maker unlike any other.